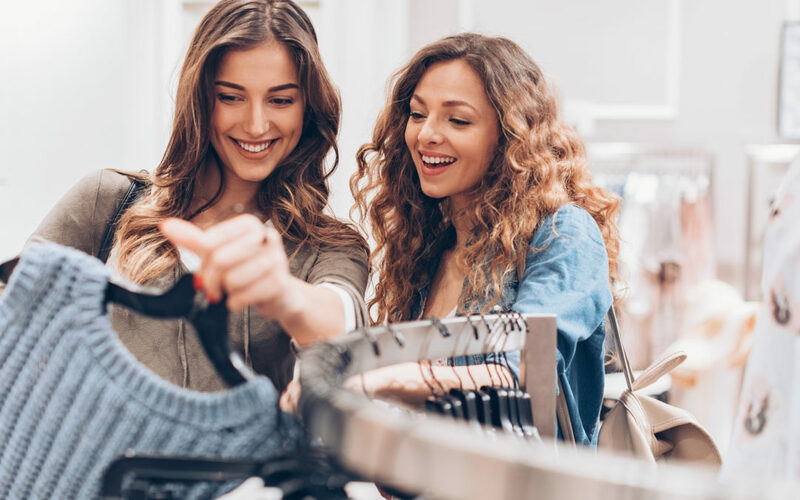 Clothing can be one of those challenging costs to calculate in a budget, especially when you don’t stick to a regular buying schedule. When you are struggling with your finances, discerning if you really need new clothes can be a tough call. You also shouldn’t deprive yourself for the sake of your finances. Deprivation can contribute to impulse spending. How can you save money on clothes while staying on track with your finances? Technology has given shoppers the ability to purchase items online, search for the best prices, and skip trips to the mall altogether. In fact, according to Statista, “Online shopping is a thriving market. Retail e-commerce sales worldwide are forecast to nearly double between 2016 and 2020.” Several brands are creating more online-exclusive items, offering less of a selection in stores. Depending on the company, some stores may not be able to afford keeping more stock on the shelves if a large portion of their sales derives from online purchases. There are also plenty of third-party apps dominating the market right now that make buying and selling your clothes easy. You can avoid the mall—and spending more money—by scouting for the best deals online. In using these third-party apps to purchase clothes for much cheaper than their initial selling prices, you can also sell clothes that have been collecting dust in your closet along with other items. When you start earning money for last season’s clothes then you can begin purchasing new ones with those funds. Rather than dipping into your savings or account or spending extra money, you can utilize these apps to keep your budget steady. It will take some time, but the payoff could be worth it depending on how many items you have available to sell. They say the best things in life are free, right? If you have a friend or family member who wears the same size as you or anyone in your family, then ask to take a peek at the items they are planning on getting rid of. Close friends and family are usually happy to help out in small ways, especially if it means helping you keep your finances on track. The holidays are just around the corner, which means holiday parties and events are too. Some of these parties may require festive or cocktail attire, which means finding an affordable outfit could be a challenge. Stop by secondhand shops, look for good deals online, or keep an eye out for coupons in the mail to find the best outfit for the occasion. Try to look for clothes that you may be able to repurpose or wear for other events. Some third-party apps also offer clothing rentals, which allows you to rent stylish clothing without paying full price for the item. If you know you will only wear the outfit once or twice, then these types of apps may be worth looking into. The most important thing you can do is plan ahead to ensure you save the most money. Buying last minute items can often cost more, especially when you miss out on the best deals.